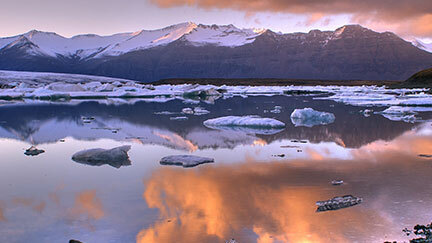 Travel to Iceland and get plunged into a fantastic and wild landscape that can’t be found anywhere else on earth. This island country is a land of glaciers, mountains, and geothermal hot springs, beckoning travelers to come and experience the outdoors like they’ve never experienced it before. At night, the Aurora Borealis lights up the sky in vibrant waves of green and purple, a spectacular light show seen only in the most northern parts of the world. 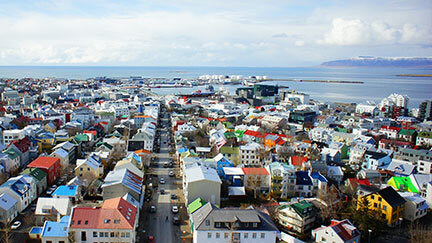 The wilds of Iceland might be the main attraction, but the cities and towns of Iceland are worthy of seeing. Reykjavik, the capital city and the home to a huge percentage of the population, is a cosmopolitan hub with an arts scene, tours, and museums worth visiting. Iceland is also a surprising party scene. People love to get together, eat, drink and laugh through the cold winters. 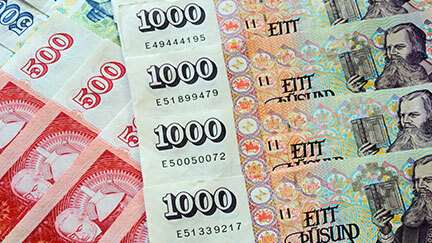 On your trip to Iceland, you’ll be using Icelandic króna as your currency. The exchange rate is, as of the writing of this travel guide, almost $1 to 100, so conversions of cost won’t even be an issue. Just treat every price you see like it’s in cents and not dollars, and you got it. Iceland might be the most accepting country for credit and debit cards on the face of the planet, too. You won’t really have to carry much cash with you, everyone will be willing to accept plastic. Iceland has quite a few traditional dishes, and they’re mostly based around seafood and lamb. Their viking ancestors ate both of these things almost exclusively, and the tradition continues now. 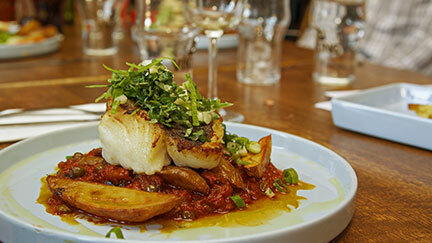 Iceland has, unsurprisingly, fresh fish served almost everywhere, so take advantage if you love seafood. Some surprises you might find on your menu is Icelandic reindeer, or even puffins getting served up. A ton of places serve the classic, greasy comfort food of pizza and burgers, too. Iceland has pretty widespread wifi, in coffee shops, hotels, and other businesses where internet connections are the norm. The problem is, a lot of Iceland is pretty rural, so getting a cell phone signal outside of the towns is usually not an option. It’s not really something you can change, so just be aware and work around it. As for outlets, they use a two-pronged round plug in Iceland, so buy an outlet adapter before you take off for your Iceland trip. Iceland is a pretty chill, laid-back place. There are few cultural differences you’d really need to worry about beyond the rare oddity (like how hard it is to find ziplock bags). The only thing you should know as a tourist is that shops tend to open late and close early, so you might have trouble going shopping after 7pm. Beyond that, you can relax and just enjoy the epic scenery. Iceland is a unique place physically, but socially it’s incredibly accommodating. The best time to visit Iceland entirely depends on what you want to do, and at what temperature you want to do it at. Want to go hiking close to the glacier-filled interior, or car-camp around the ring road? You want to aim for your summer break, where the nights are still cold but the days are pleasant. Is your whole goal to see the alien light show of the Aurora Borealis? That’s brighter around December, so you might want to spend your winter break out there in Reykjavik, taking snowmobile tours during the day. There’s always stuff to do in Iceland, but it all depends on how you handle the cold. Iceland has such awe-inspiring landscapes that you’ll feel like you’re on a different planet. It’s breathtakingly alien, glaciers and sharp mountains dominating the country. When night falls, and the aurora borealis lights up the sky, you’ll realize why you came. Pronounced like “Thingvellir”, this insane natural wonderland is filled with lakes and waterfalls and glacial rock formations. It’s also where the continental shelf between North America and Europe is, showing a split in the earth. The Blue Lagoon is a legendary outdoor thermal pool, that gets it’s name from the indigo waters. It sits in the middle of a lava field, and is toasty warm even on frigid winter days. They charge admission to take a dip, but it’s worth it. East of Reykjavik, you’ll find this natural wonder. Gullfoss means “The Golden Falls” in Icelandic. It’s the gold standard against which all other waterfalls are judged, and this one is often called the most beautiful waterfall on earth. This is the spot where the word “geyser” literally came from. The actual, original thermal geyser named “Geysir” is no longer very active, but luckily the whole area has multiple active geysers that will go off every ten minutes. This lagoon was created when a glacier retreated quickly. “Quickly” for a glacier is still 45 years, but trust us, that’s fast for a giant chunk of ice. It left a lagoon behind that makes you truly feel like you’re in the untamed frozen north. Located in the Fjallabak Nature Reserve, this region is the rugged heart of the Icelandic interior. Here you can hike or ride shaggy Icelandic ponies through the dark green fields and over the icy creeks that fall between the sharp mountains. Iceland isn’t famed for the cities there. It’s famed for the landscapes that surround the cities, and most people travel to take in those natural wonders. It’s a shame, because although they’re small, a lot of the cities and towns in Iceland have a lot to offer the adventurous traveler. Spend some time walking around these places and meeting the friendly locals. 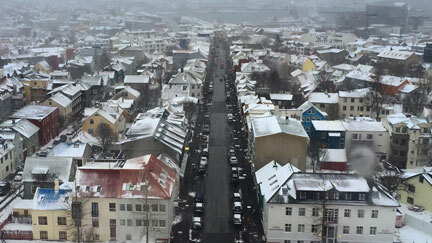 The capital of Iceland, Reykjavik is a cultural hub. It’s a spread out city with sprawling suburbs around the edges. That fact aside, it’s a great walking city with a ton of activities around the main tourist areas. Check out museums, art galleries, or parks while you’re there, or use it as a headquarters for all your adventures like whale watching or checking out the Northern Lights. This picturesque town sits on the edge of a fjord, giving it an almost fairytale-like quality. There is an arts and crafts district where you can shop, a few tiny museums hidden around town, and some incredible churches with stunning modern architecture. Don’t head to Akureyri to party, it’s a pretty sleepy town. Instead, head there for the beautiful and charming scenery. Höfn is a tiny town in east Iceland, that draws people to it because it’s the gateway to outdoor adventure. It’s on the doorstep of the Lónsöræfi, an incredible wilderness area. This is some of the best hiking in Iceland. Höfn’s other specialty is lobster, so make sure you feast on some shellfish after a long day of seeing the beautiful surrounding landscapes. This spectacularly picturesque fishing town is the world capital for whale watching excursions. They have a 95% success rate of spotting whales in the summertime, which is no small feat. While you’re there for your whale watching expedition, check out the Exploration Museum, which covers every era of human exploration, from the viking age all the way to space travel. The home of the Iceland International Airport, you’ll end up in Keflavík by default. That’s no problem, because it’s a great little city with a ton to experience. The big viking museum, Viking World, is all the rage here, and it’s close to the Blue Lagoon. If you want to wander around, there is a stone path that will lead you along the coast and out to the lighthouse. 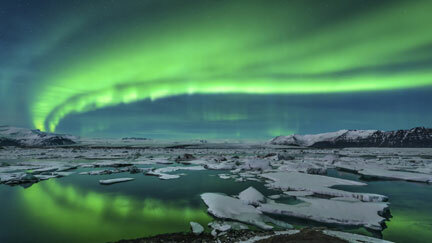 Iceland is great for seeing the Aurora Borealis. If you’ve never heard of it, or seen video of it, we suggest dropping what you’re doing right now and checking out a video right now. It’s green lights that dance across the sky in waves. We’re not sure exactly how it works or why, but that doesn’t matter. It’s a beautiful and surreal light show in the northern parts of the world. Make sure the conditions are right. There are a few factors to consider when you go on your sky-watching excursion. First, check the Aurora forecast. They basically have weather reports that tell you how bright the Aurora Borealis is going to be in a given area. Make sure it’s a clear, cloudless night, too. 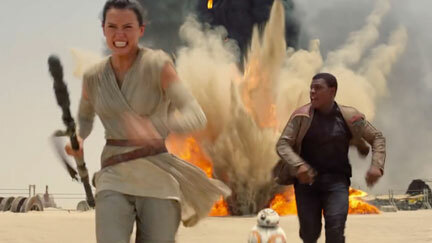 Also, obviously, it needs to be nighttime and dark. Get away from the city. You might be able to catch sight of the lights from Reykjavik, but it’ll be way harder with all the light pollution in the city. Drive out away from the buildings. 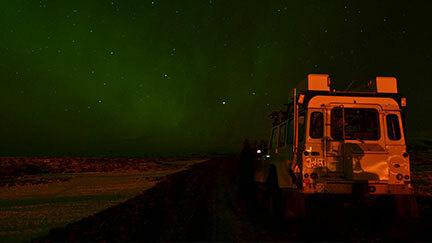 There are tours that will take you specifically to see the northern lights, but it’s up to you if you want to use a service like that. It’s not too hard to do a self-guided tour in a rental car. Go at the right time of year. The Lights are the brightest in the wintertime. That might be a tall order for some people, going to Iceland in the winter, but it might be worth the cold to get such a unique experience. November and December are prime Aurora Borealis viewing months. January and February are colder but just as good. No matter when you go, try to get out to see the lights at least once.